St. Luke’s College–UnityPoint Health has named Lorall Karpuk as Chair for the Registered Nurse (RN) to Bachelor of Science in Nursing (BSN) Program. In her new role, Karpuk will oversee the program’s faculty, curriculum, student admissions and take responsibility for the regulatory and accrediting requirements. Previously, Karpuk was the Distance Education Coordinator for the RN-BSN Program for St. Luke’s College. 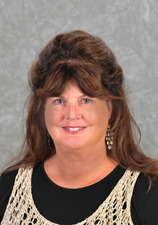 She also served as the Director of Online Learning for University of South Dakota nursing in Vermillion, South Dakota. 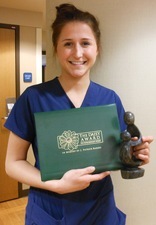 Karpuk received her Bachelor of Science in Nursing from Creighton University in Omaha, Nebraska and her Master of Science in Nursing from South Dakota State University in Brookings, South Dakota. She also has a teaching certificate from Iowa State University. Karpuk is a member in several professional organizations including the Honor Society of Nursing, Sigma Theta Tau International (STTI), American Nurses Association and the National League of Nursing. She also volunteers for the Siouxland Soup Kitchen and Children’s Miracle Network. Great Iowa Nurses, a recognition program of the Iowa Nurses Association, for their commitment, competence and courage in the field of nursing. Center, Pre-Admission Testing (PAT), and Radiology nurses. 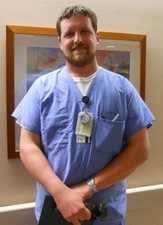 Mascarello is a Nurse Manager of Oncology/Surgery at St. Luke’s. The two were chosen from among 500 nominations. 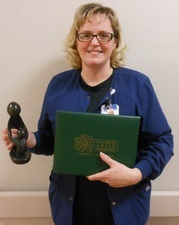 recognized DAISY Award winners at Sanford USD Medical Center. Patients, family members and/or colleagues can nominate extraordinary nurses for the award and a new nurse is recognized each month. was nominated by a patient and his wife who were touched that Thomlison rearranged her schedule to be with them on the last day of cancer treatment. Sanford Aberdeen Medical Center recently announced Kila LeGrand has been selected as chief nursing officer. LeGrand currently serves as the director of surgery, anesthesia, SPD, employee health and infection control at Sanford Aberdeen. As chief nursing officer, LeGrand will be responsible for day-to-day operations of the facility, including patient care, program/care management, environmental safety and coordinating clinical and operational staff. 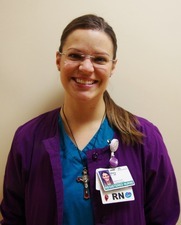 LeGrand is a registered nurse and holds a bachelor’s degree in nursing from Presentation College. She is also currently finishing a master’s degree in business administration from the University of South Dakota.